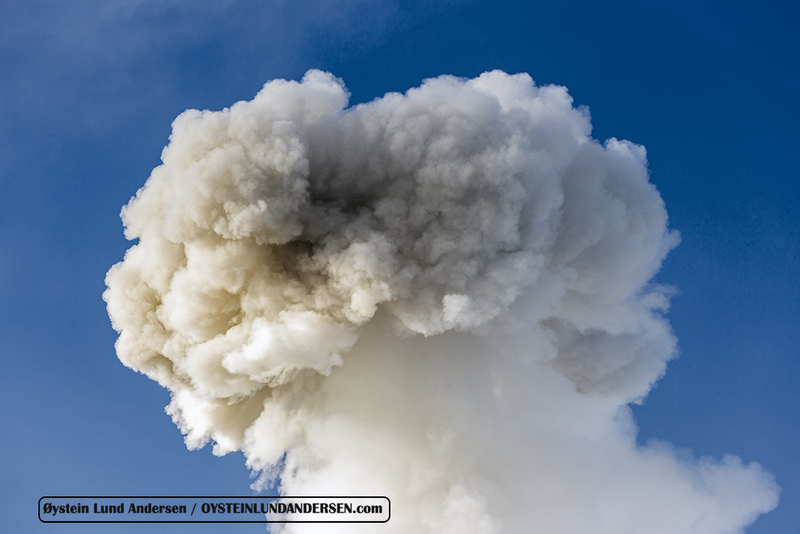 30th July – 2th August. 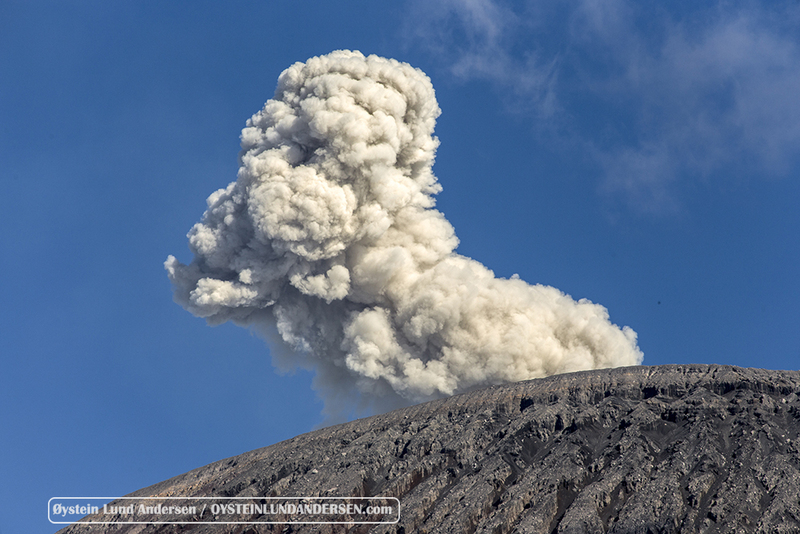 The eruptions these days contain little ash. 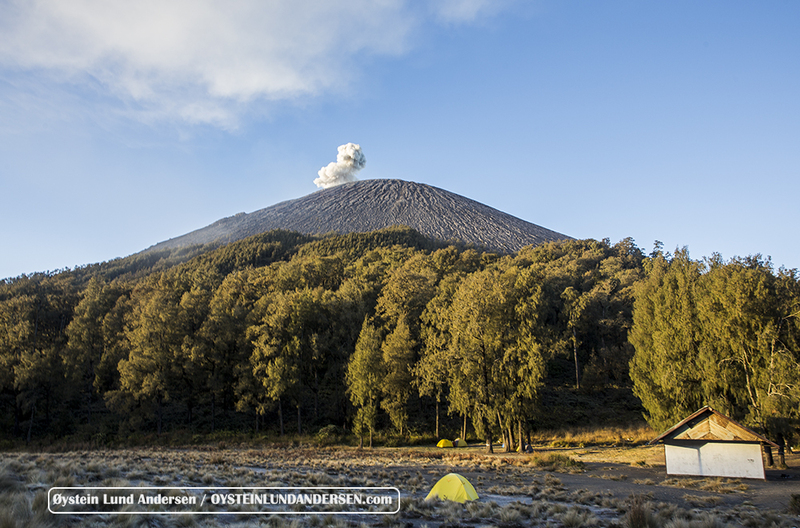 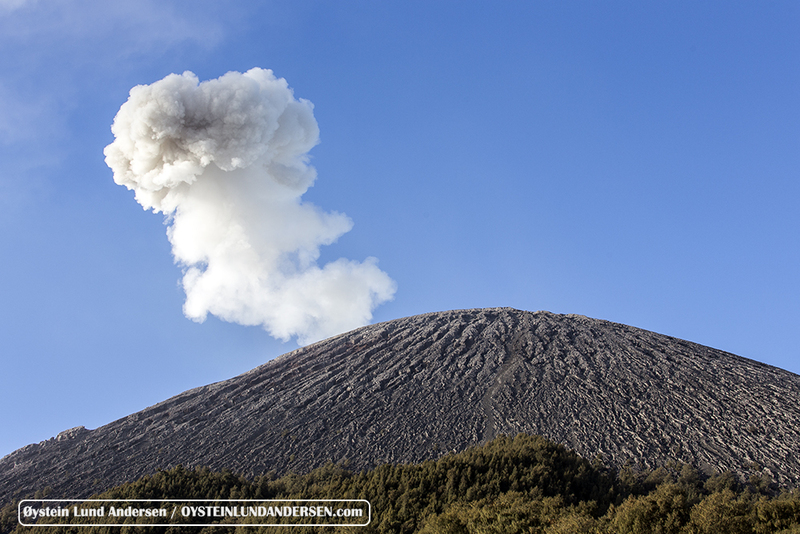 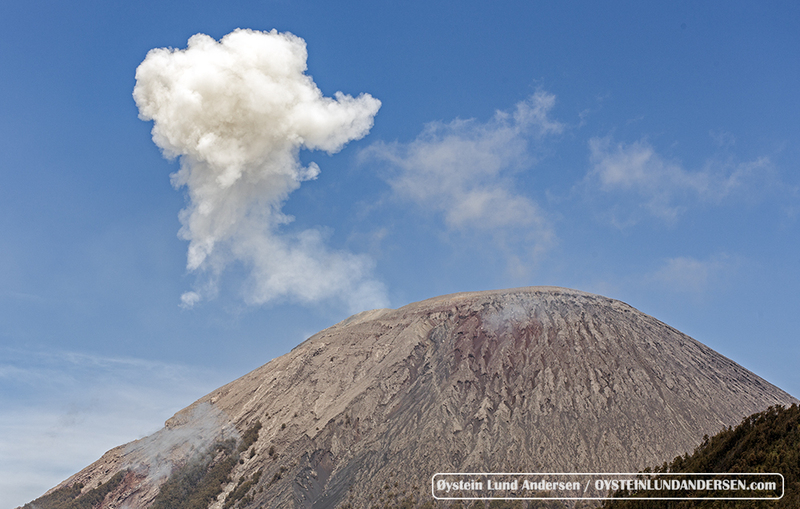 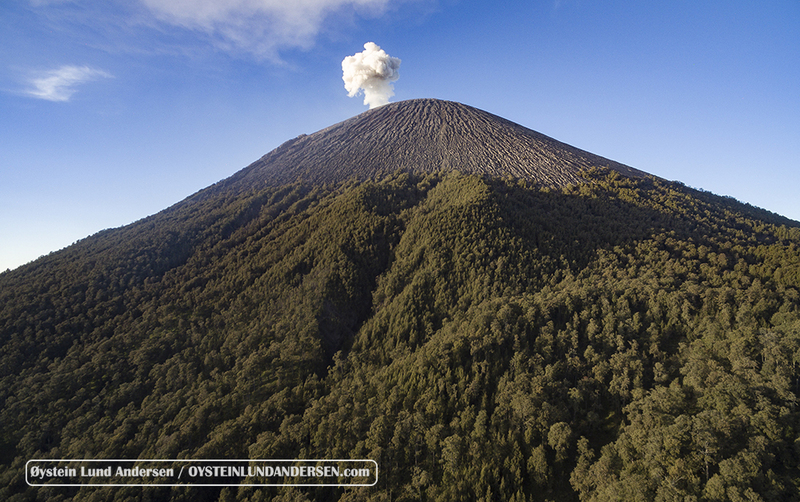 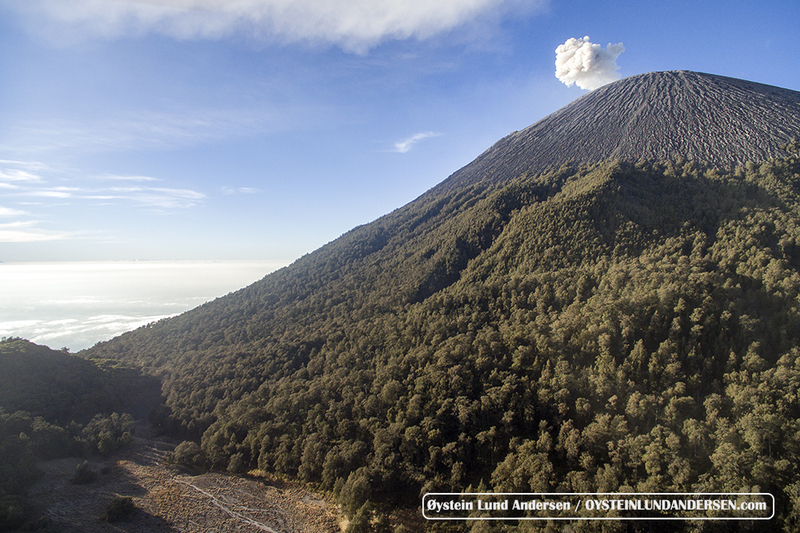 The eruptions occur every 10-30min, and are accompanied by rumbling sounds, that can be heard 1-2 km from the mountain. 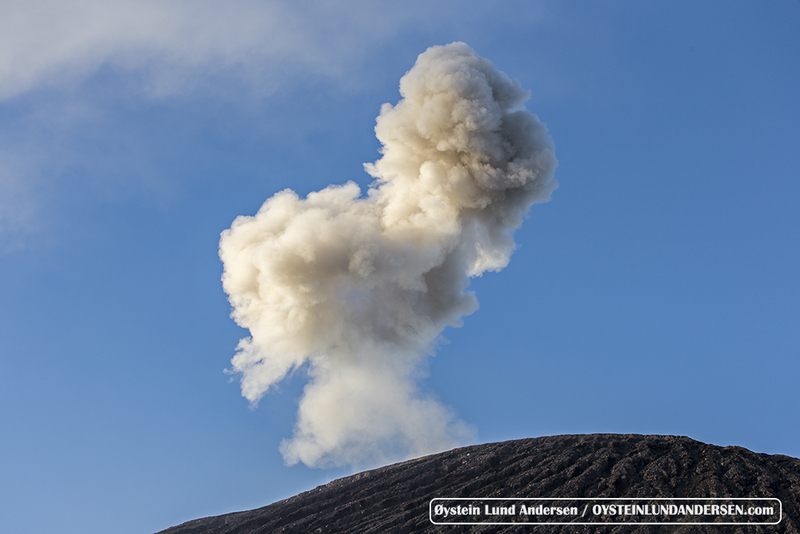 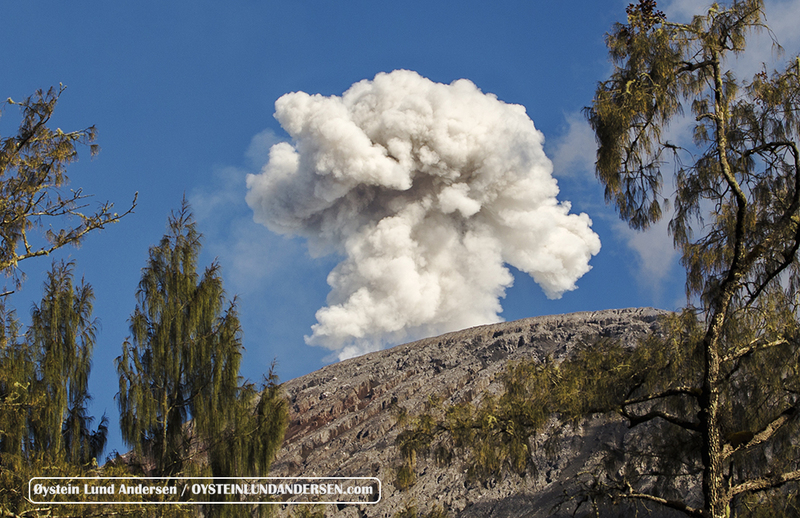 (06:55) The larger eruption-plumes, like this, were accompanied with rumbling sounds. 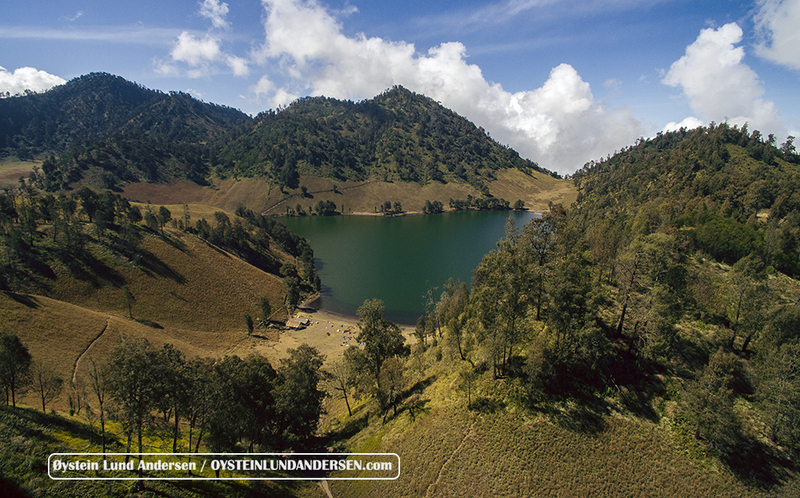 Lake Ranu Kombolo, 6 km north of Semeru. 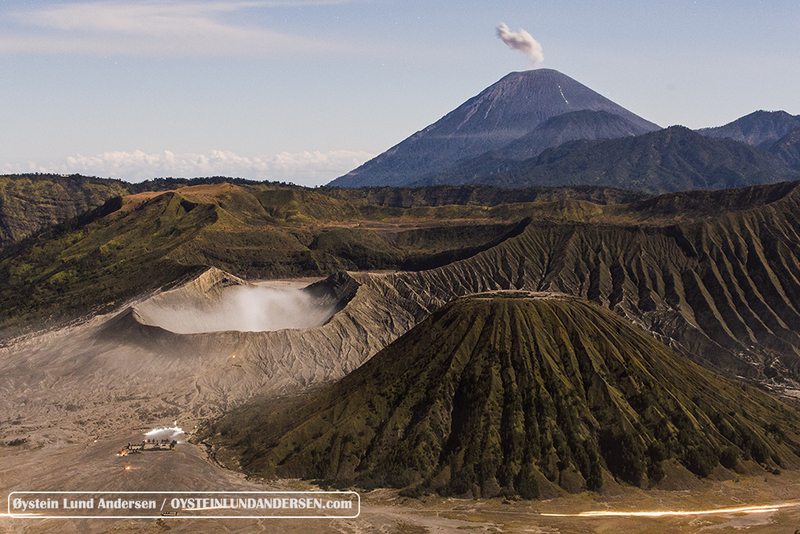 Ranu Kombolo is said to be a maar. 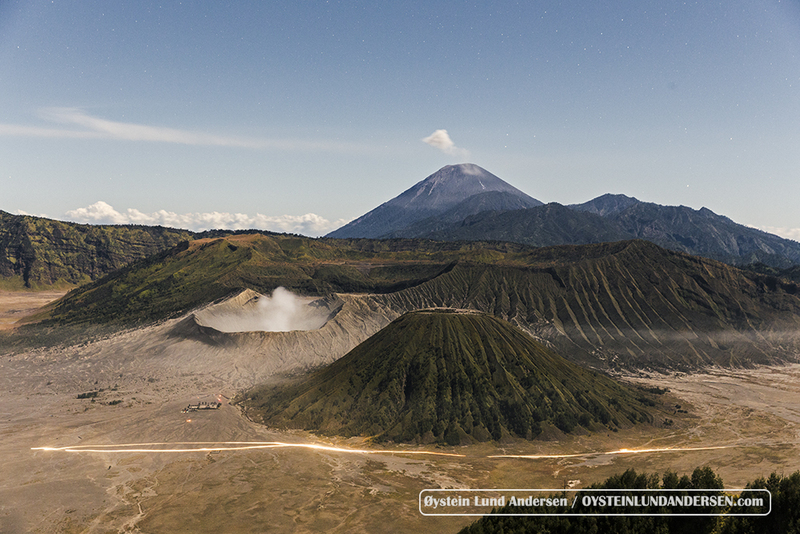 A maar is a volcanic crater that forms when magma contacts groundwater to produce a steam explosion. 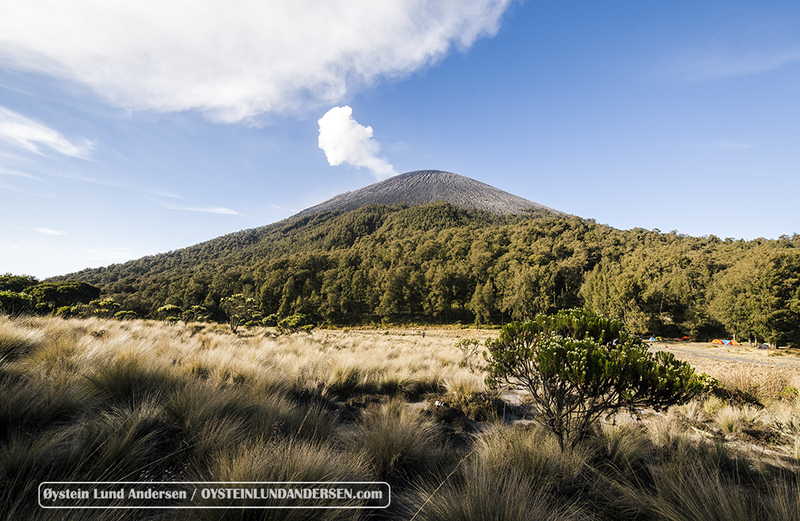 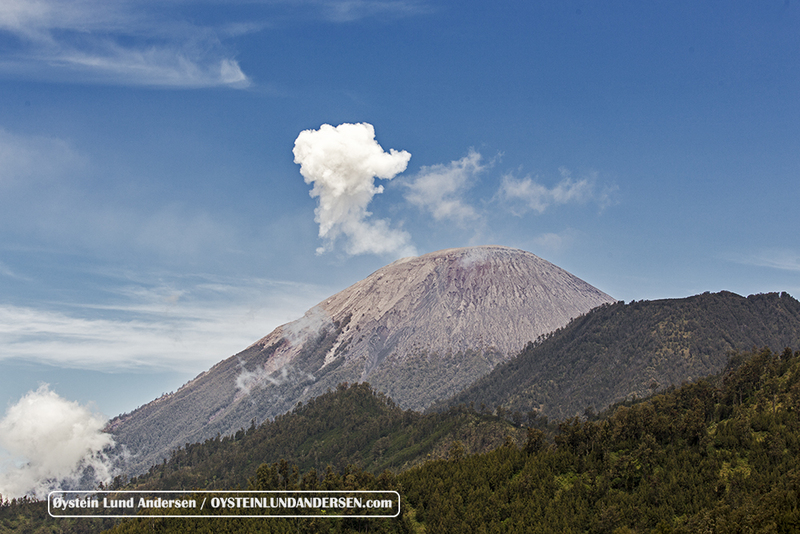 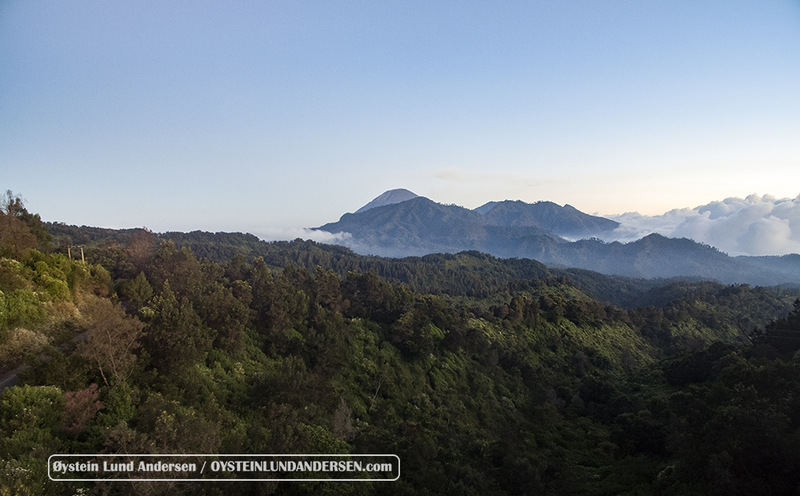 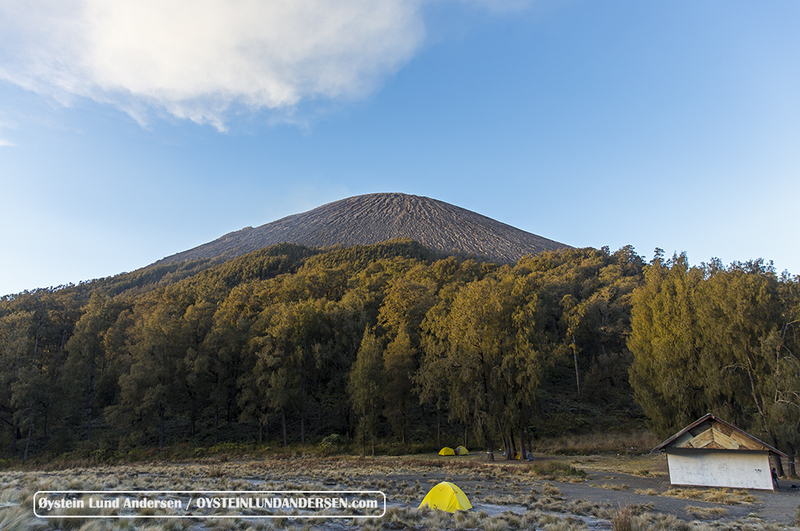 (11:45) Semeru seen from near Lake Rano Kombolo, on our way to Ranu Pani village.